The Rent Fitness Equipment Company: Mark-Taylor Properties Are The Best Choice For Healthy LifeStyle Living. 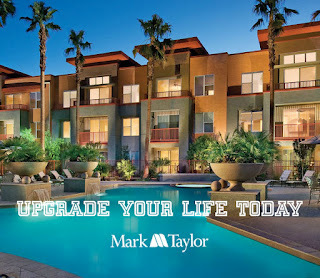 Mark-Taylor Properties Are The Best Choice For Healthy LifeStyle Living. The Mark-Taylor property management company understands how to build a healthy lifestyle apartment housing community. And nobody takes it more seriously than Mark-Taylor management. The Rent Fitness Equipment Company is happy to be the preferred vendor for the Mark-Taylor company and taking care of their onsite fitness center needs. For years we have been educating apartment properties to promote their onsite fitness centers to their local community as the-most-important-amenity. We say take your prospective resident to the fitness center FIRST. Give them a healthy workout and then take them to see the apartment unit. Mark-Taylor property management understands this better than any other company we work with. Every person wishes they were more fit and healthy. So make it part of the community and beat your local competition and sign more leases than any of your competing properties. WATCH THE VIDEO INCLUDED TO SEE HOW TO DO IT RIGHT! Now the Mark-Taylor properties can rent the best professional fitness equipment as seen in the best health clubs in America. This monthly rental includes free maintenance and repairs forever. So when you enter a Mark-Taylor fitness center all the machines are IN-ORDER and ready for your workout. We love the Mark-Taylor properties because they know how to please their residents. Fitness Equipment Rentals Arizona, Washington, Nevada, San Diego, San Antonio, Dallas, Detroit, San Jose and 48 USA States.